House showings are one of the necessary evils of selling your home. At times it can be inconvenient, especially when a showing is right after work when you’d much rather curl up on the sofa at home. As a resident of the home, it is basic etiquette that you aren’t present during the showings, but Fido is a resident too. Sometimes bringing him with you isn’t an option, so you may have to utilize services such as a pet sitter or day care. However, although Fido may be out of the home, his presence is still known by the fur and odor. 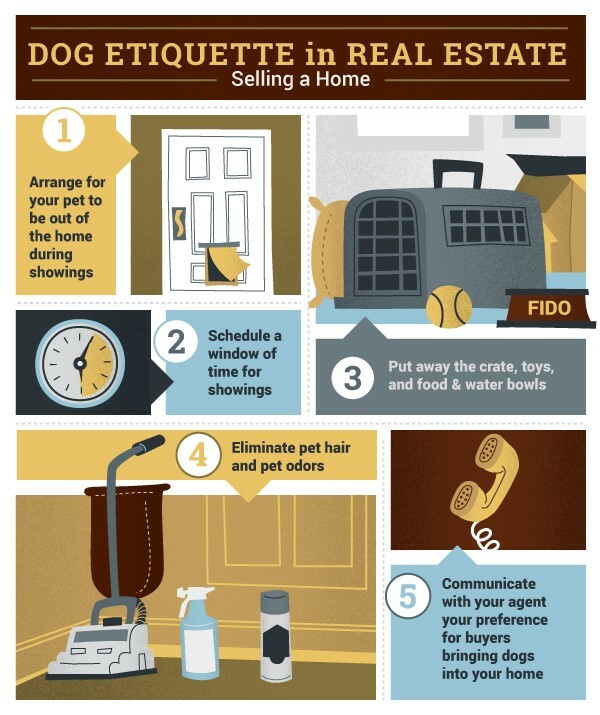 Check out this infographic to get your home showing-ready no matter how many four-legged companions reside with you. Once you arrive at your new home in Arizona, the time apart will be a distant memory as you explore together. Check out the “beach” at Cosmo Dog Park or climb Lookout Mountain and snap a pic together when you reach the top. Once you’ve worked up an appetite, stop in at Gordon Biersch Brewery Restaurant to enjoy a local brew and a made-from-scratch meal. Selling your home is challenging, especially when you are constantly making plans to be away from the comfort of home. Don’t fret, as you will soon have a new place to call home where you can choose to snuggle up with Fido on the couch or leash up for a day out – the choice will be yours.